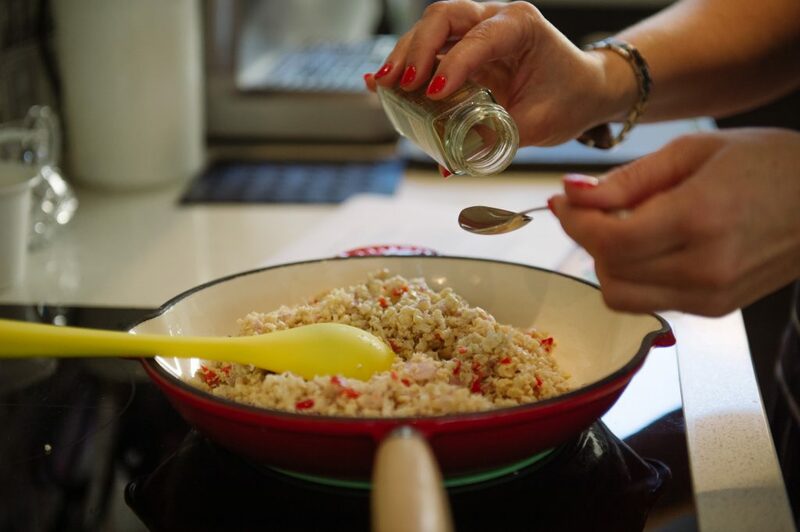 Update: this recipe has been an absolute hit at the cooking classes and thanks to the fabulous Emma Saunder’s from Beauty Found I have some super photos too. It’s become a weekly staple in at least one household since the cooking class and my kids even like it a bit more now too. This is a totally fabulous recipe! Every time I make it, it is completely devoured (although I have to admit my kids aren’t super keen – but really the effort is a bit wasted on them). 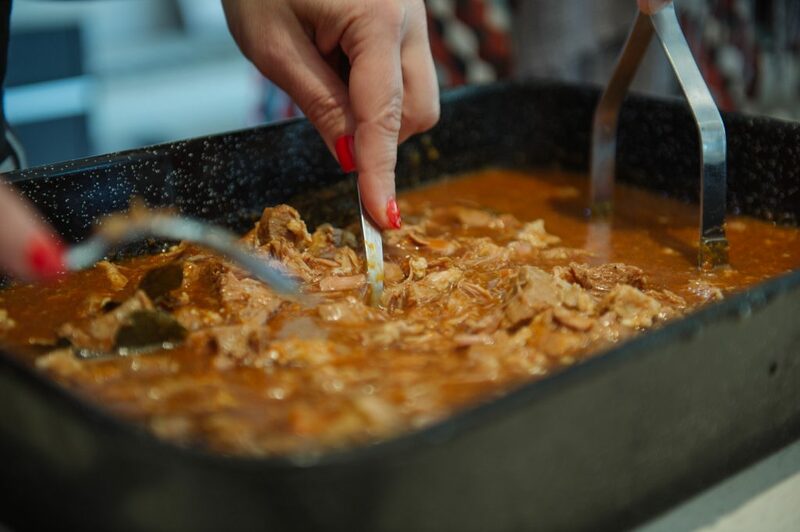 It is a fairly time consuming meal, so not one you whip up after a day at work, but a great one for a Saturday night with friends. 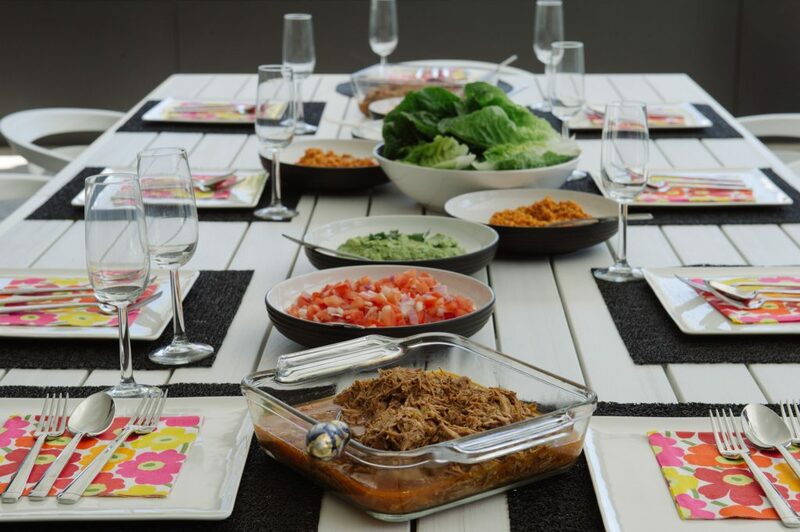 It’s the sort of meal that you can spread out on the table and all muck in and create your own ‘tacos’. 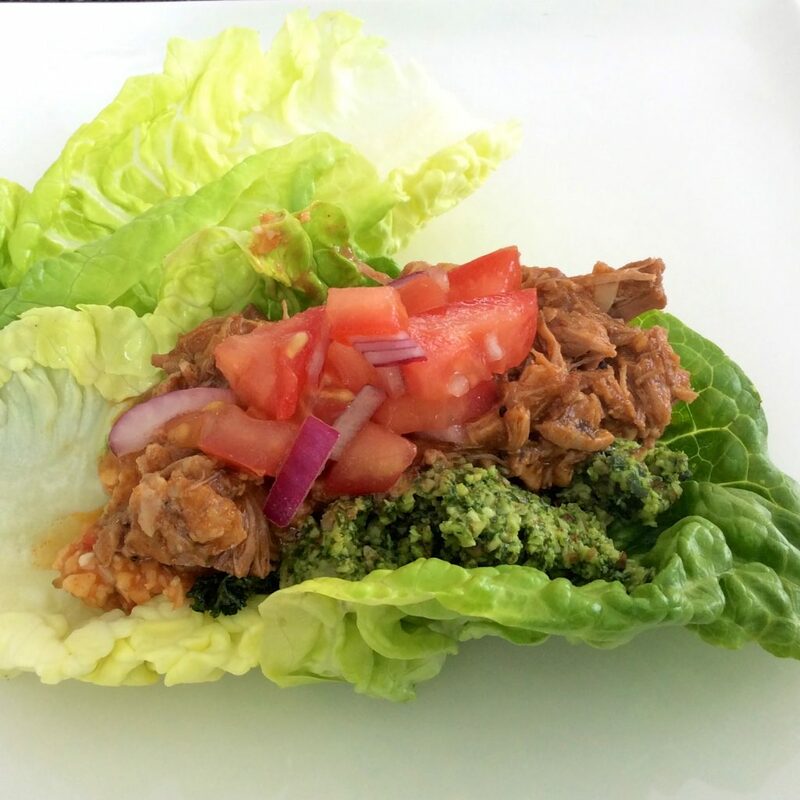 You could even use taco shells or wraps if you’re not strictly following the paleo regime. 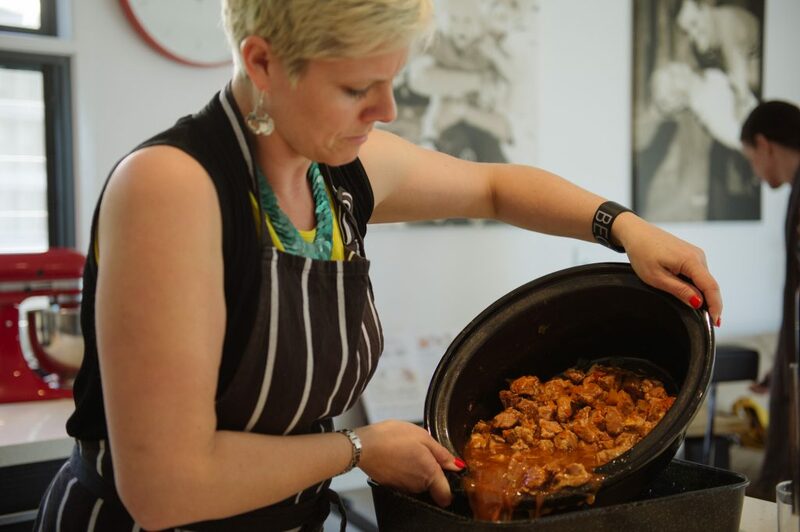 The recipe is taken directly from Irena Macri’s fantastic cookbook, Eat Drink Paleo. Her website is www.eatdrinkpaleo.com.au. 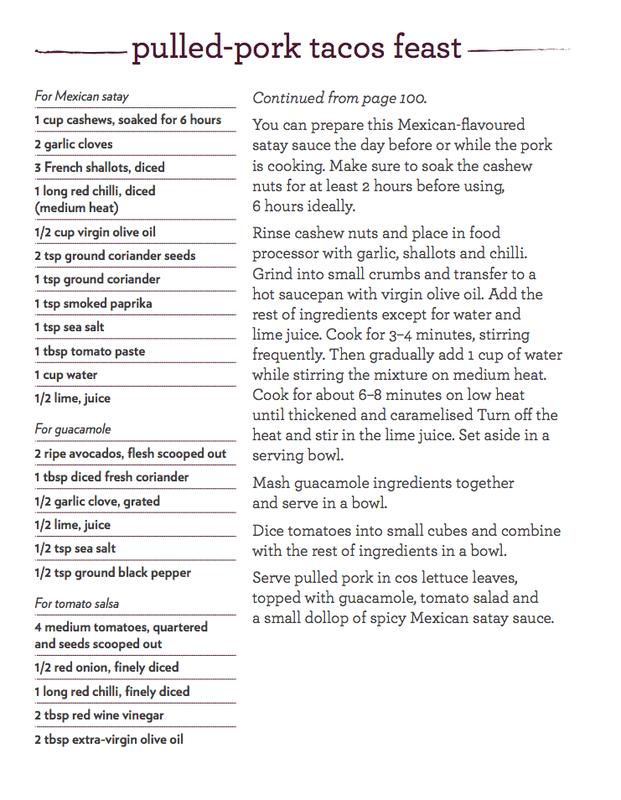 The only thing I do differently is add a bit more sweetener into the pork mix – it makes it more caramelized. 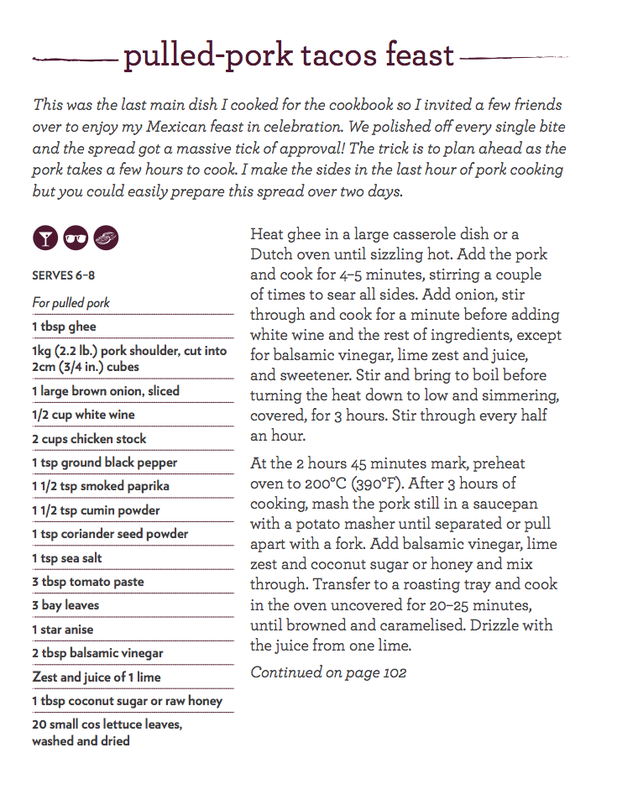 I often add some chutney or fig jam when simmering the pork and then add double the sweetener in the oven bake stage. If you’re not a sweet tooth, then just follow the recipe! The recipe says it feeds 6-8 but I think it really only feeds 4 as it’s sooooo good you just keep eating. So if cooking for more than 4 just double (although don’t double the satay as that makes quite a lot). Yum. My mouth is watering just looking at this feast.